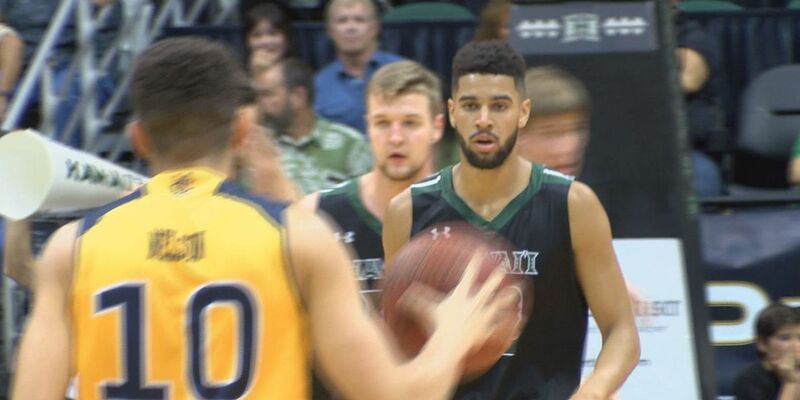 HONOLULU (HawaiiNewsNow) - The University of Hawai'i men's basketball team saw its four-game win streak come to an end with a 72-58 loss to UC Irvine Saturday night at the Stan Sheriff Center. The Rainbow Warriors dropped to 12-12 overall and into a tie for fourth in the Big West with a 6-5 record. UC Irvine (15-12, 8-3 Big West) used a monster run in the first half to gain separation and all-conference guard Luke Nelson poured in a game-high 29 points, including six three-pointers, to squash UH's comeback hopes. Gibson Johnson tied his career high with 19 points, but it wasn't enough against a Anteater squad that completed a season sweep of the Rainbow Warriors. Much like the first meeting in Irvine earlier this year, UH got off to a strong start, but were ultimately worn down by a deep and defensive-minded Anteater squad. UH was held to just 31 percent in the decisive first half, while for the game the UCI bench out-scored UH's reserves 22-0. UCI also out-rebounded UH, 39-22. UH exploded out of the gates early scoring 14 points in the first 6:30 to take a double-digit lead on the Anteaters. 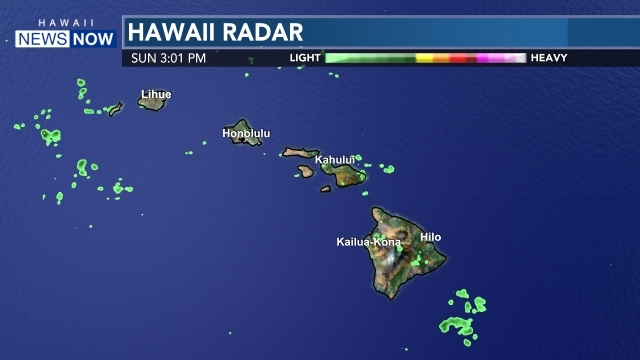 But the Rainbow Warriors went ice cold after that. UCI reeled off a 31-6 run the rest of the half to take a 35-20 lead going in to the locker room. The 'Bows were decidedly better offensively in the second half, converting 14-of-25 field goals (56 percent). Johnson was a big part of that, scoring all but four of his points after the break. But UH wouldn't get any closer than 11 points, as the Anteaters had an answer for every UH rally. UCI shot 48 percent from the floor in the second half and got 16 second-half points from Nelson. The Anteaters also finished the game a perfect 14-of-14 from the line. Noah Allen scored 18 points for UH, while Sherriff Drammeh added 12 points and a career-high five steals. UH now heads to the road for a pair of games, beginning with a stop at UC Santa Barbara on Thursday, Feb. 16. Tipoff is set for 7:00 p.m. PT/5:00 p.m. HT.